$495 27'Lx22'Hx16'W This is the big one! 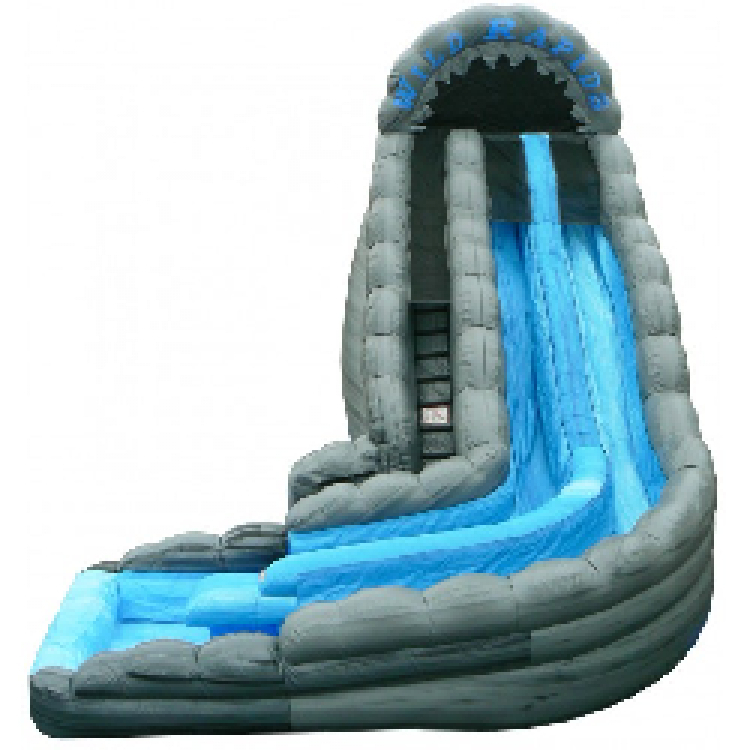 At 22 feet high, it will give your participants a great ride before they splash into the pool at the bottom. The world's first dual lane curved water slide! Experience the thrill of riding the rapids down this wet mountain of fun. Riders shoot down individual sliding lanes where they encounter the thrill of a bump in the rapids before they scream around the curve into the pool at the bottom. MUST BE STAKED TO SECURE!